If you're the account owner, you can update the account name and logo. Your account name appears on the upper-right corner of the web application and on the sidebar and header of the iOS app. Your subdomain is the first part of the URL to your DoneDone account (e.g. mysubdomain.mydonedone.com). Your logo appears at the login screen of mysubdomain.mydonedone.com. If you haven't uploaded the logo, the DoneDone logo will appear. 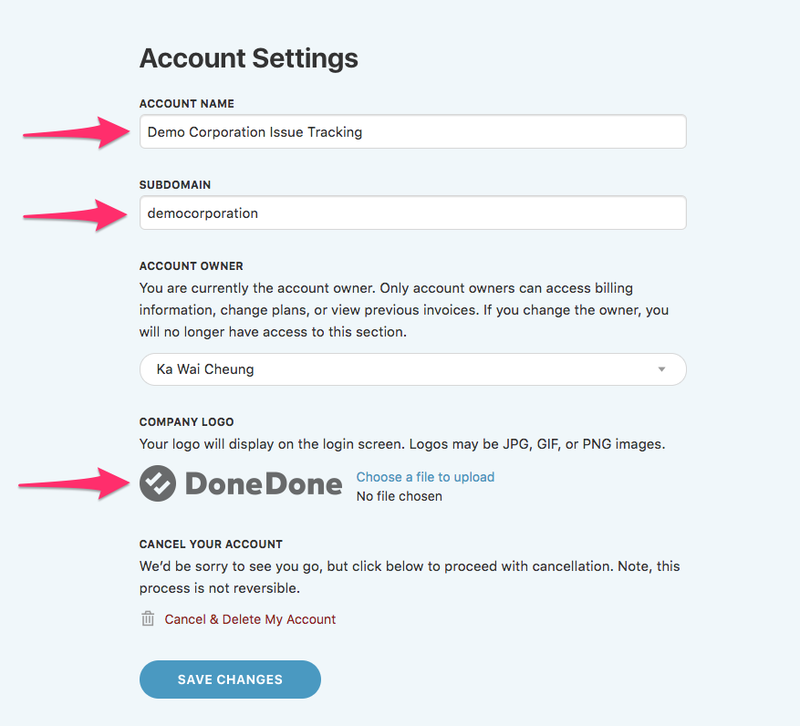 On the Account Settings page, you can update the account name, subdomain, and logo in the areas shown below. Click the Save Changes button at the bottom when you're finished.